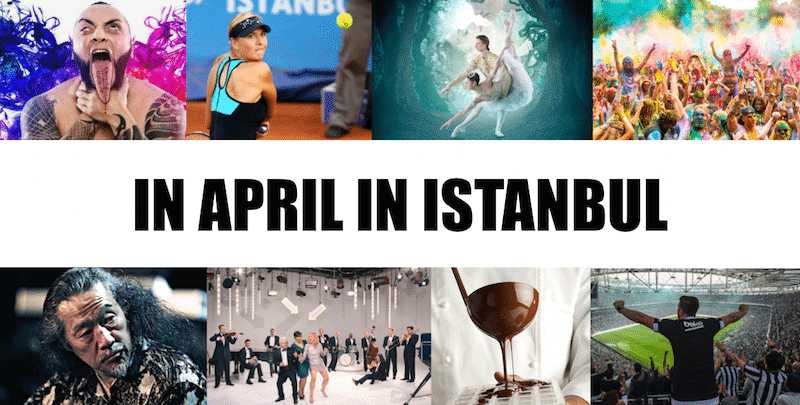 What do, what to see in April in Istanbul? April 1 – MFÖ & Şebnem Ferah: the deans of the Turkish rock with millions of albums sold will be in concert accompanied by Şebnem Ferah, a rock singer whose style varies from pop rock to hard rock. At theVolkswagen Arena. April 3 – Michael Feinstein Trio: the American pianist is in representation at the Iş Sanat Kültür Merkezi. April 5 – Hayko Çepkin: the Turkish alternative metal singer with Armenian origins and a surprising look will be performing at the İş Sanat Kültür Merkezi. April 5 – Baba Zula: the Turkish psychedelic rock band is on the stage of the Zorlu Center PSM. April 5 – Kalben: one of the new Turkish pop diva with rock influences in her music is in concert at Dorock XL. April 6 – Sertab Erener: the Turkish pop singer known for winning Eurovision is at Babylon. April 7 – Can Bonomo: the Turkish rocker and guitarist of Sephardic origin is at the If Performance Hall, the new concert hall in the Beşiktaş district. April 7 – Oldies but Goldies: the Babylon concert hall organizes a party with concerts and DJs based on the 80s. April 8 – Aleksandrov, The Choirs of the Red Army: the Red Army’s Aleksandrov choirs founded more than 80 years ago will be on the stage of the CRR Concert Hall to commemorate the 64 members of the choir lost in a plane crash in 2016. Do not miss it! April 12 – Martin Kohlstedt: the German pianist, composer and producer composing his music with two acoustic pianos and electronic elements will be on stage Akbank Sanat. April 13 – Esra Kayıkcı Feat. 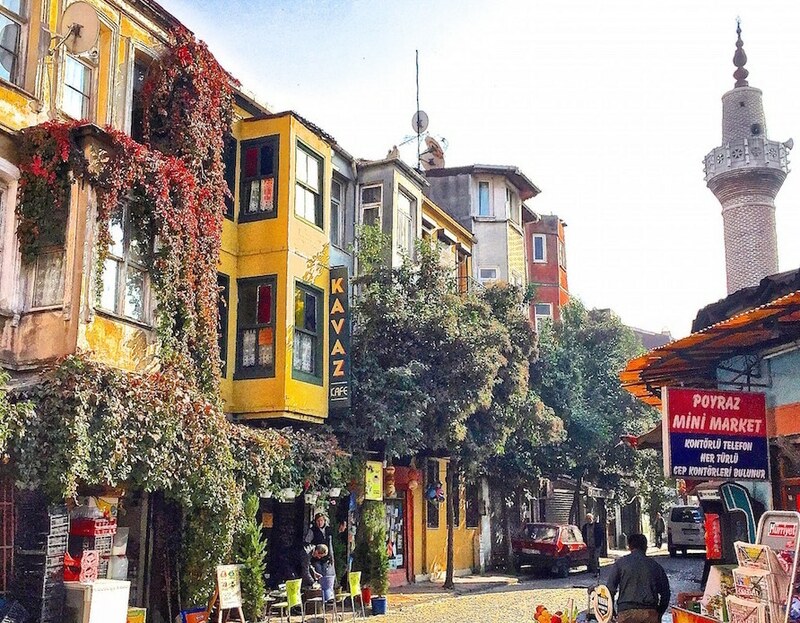 Sebastian Studnitzky: the singer Esra Kayikci shares the scene of the Nardis Jazz Club with the German pianist and trumpet player Sebastian Studnitzky, the event is sponsored by the Goethe Institute in Istanbul. Avril 14 – Teoman: the Turkish rock star, the tenebrous Teoman, will be performing at the new concert hall in the very lively Beşiktaş district, the If Performance Hall. April 14 – Vitalic: the talented French electronic music composer is at Babylon. April 14 – Guillaume Perret: the saxophonist, composer and arranger of French jazz is in concert at the Salon IKSV. April 15 – Pink Martini: The world famous music group, notably for their song “Sympathique (Je ne veux pas travailler)” will be on the stage of the Volkswagen Arena. April 17 – Borusan Quartet: the quartet of the Borusan Istanbul Philharmonic Orchestra, renowned for having toured around the world, is at the Sürreya Opera of Kadiköy. April 18 – Riff Cohen: the Israeli singer-songwriter, actress and musician who plays songs in Hebrew, French and Arabic, is at the Salon IKSV. April 18 – Dianne Reeves: the American jazz singer known for her performances on stage and for her albums and considered as one of the most important jazz singers of our time with Dee Dee Bridgewater, Diana Krall and Cassandra Wilson is in concert at the Zorlu Center PSM. April 19 & 20 – Iyeoka: the Nigerian poet, singer, musician and activist of the Ted Global is in concert at Babylon, her music includes elements of soul, R&B, rock, hiphop and jazz. April 20 – Emily Wells: the American musician whose music is often described as a mixture between hip-hop and classical is at the Zorlu Center PSM. As a former violinist, she also uses other instruments such as synthesizers, glockenspiel or even melodica and often uses oversampling when she performs on stage. April 21 – Erik Leuthaeuser Quartet: the jazz quartet composed of Turkish and German artists is at the Nardis Jazz Club. 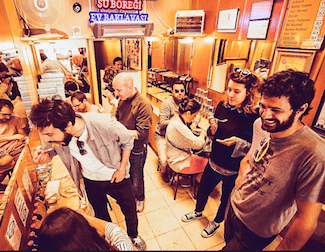 April 21 – CW/A (Clockwork & Avatism): the Italian producers of electronic music are visiting Istanbul and will be in concert at Babylon. April 22 & 23 – HoliFest: Holifest, the largest festival of traditional Indian culture where participants spray themselves with paint is celebrated every year in more than 50 countries of the world. 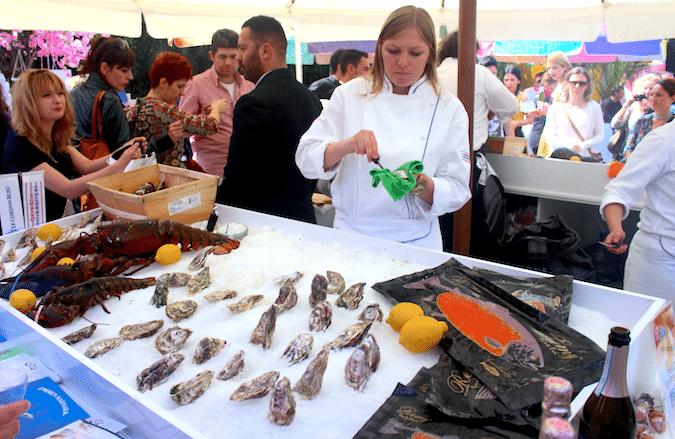 The first edition in Turkey was in Istanbul with the participation of 5000 people in April 2016. 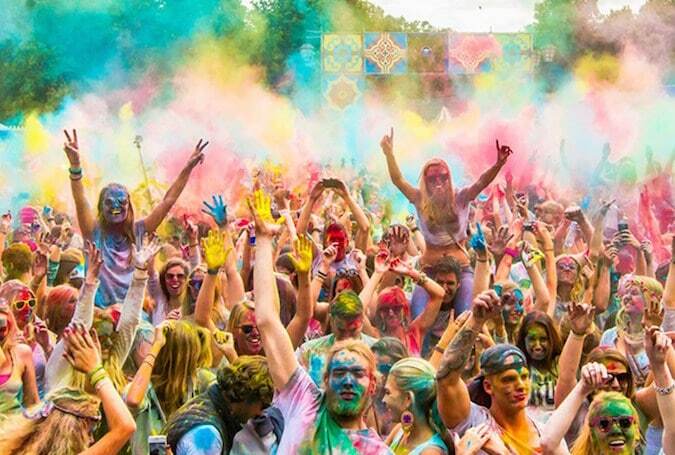 Holifest Istanbul will be back to you this year at Istanbul Event Garden with a program that is worth the detour ! April 26 – Nicolas Horvath: the French pianist with a sulphurous reputation is in representation in Akbank Sanat. April 28 – Shantel Bucavina: the German DJ, known for his contributions with various Balkan brass bands and orchestras, and his “Disco Partizani” track whose film was shot in Istanbul is at the Zorlu Center PSM. April 28 – MFÖ: the deans of Turkish rock with millions of albums sold will be in concert at the Bostancı Gösteri Merkezi. April 28 – Wolf + Lamb: for more than a decade of collaboration, the American DJs Zev and Gadi will make the dance music lovers dance, they will be in Istanbul April 28 to Babylon. 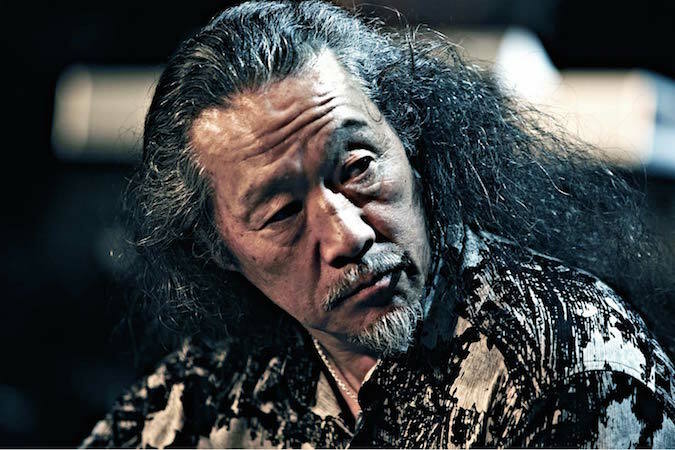 April 29 – Kitaro: the Japanese “new-age” music musician will be athe Japanese “new-age” music musician will be at the Zorlu Center PSM. For the anecdote, the title Caravanseray, originally published on the album India, was chosen by Jacques Chirac to be the waiting music of the Élysée for 12 years. April 30 – Kerem Görsev Trio: the pianist, author and composer of Turkish jazz is, accompanied by his musicians, in concert at the Sait Halim Paşa Yalısı, a magnificent manor house on the banks of the Bosphorus. 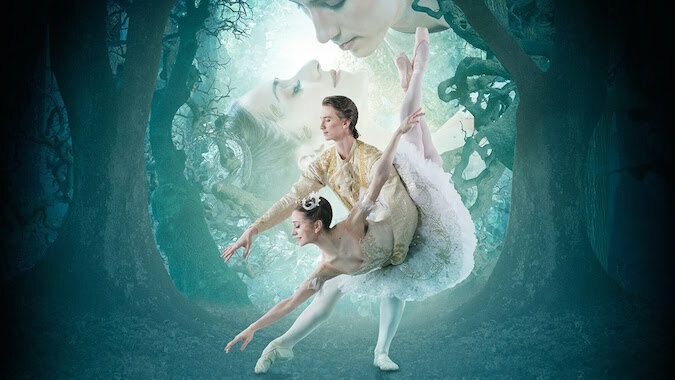 April 28 – Royal Opera House – The Sleeping Beauty, at the Zorlu Center PSM: Sleeping Beauty is a classical ballet whose music is composed by Pyotr Ilyich Tchaikovsky and choreographed by Marius Petipa. 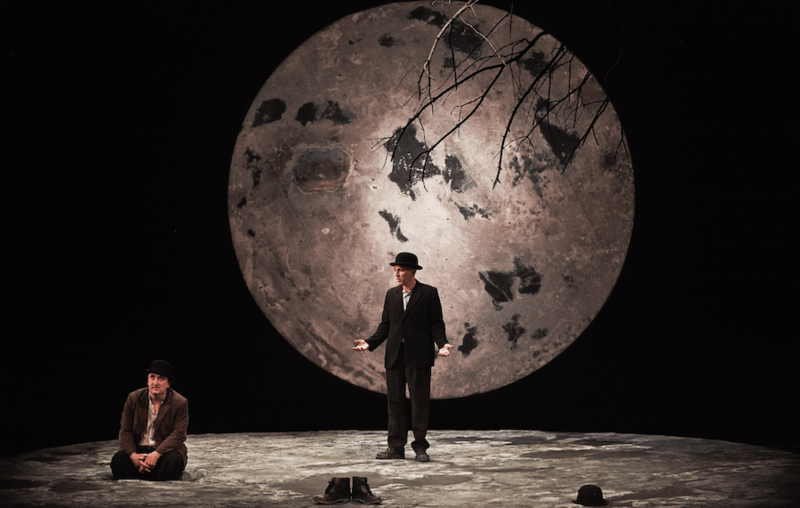 The troupe will be at Zorlu PSM on April 28 with a screening of the Royal Opera of London! The play by Ivan Vsevolozhsky is based on Sleeping Beauty by Charles Perrault, the show became the second most famous ballet of the repertoire of the Russian Imperial Ballet with more than 200 performances in 10 years around the world. Until May 7 – Cold Front from the Balkans au Pera Musezi: The exhibition “Cold in the Balkans” organized by Ali Akay and Alenka Gregorič brings together contemporary artists from Albania, Bosnia and Herzegovina, Bulgaria, Croatia, Kosovo, Macedonia, Montenegro, Romania, Serbia and Of Slovenia. The exhibition focuses on different generations of artists and artistic groups in the Balkan region. The exhibition avoids the usual inevitably unflattering political connotations of the region and focuses on a natural phenomenon – the wind. The title of the exhibition refers to a well-known expression in Turkish: “the cold wind blowing from the Balkans” which transmits the arrival of winter and is commonly used in television weather reports. 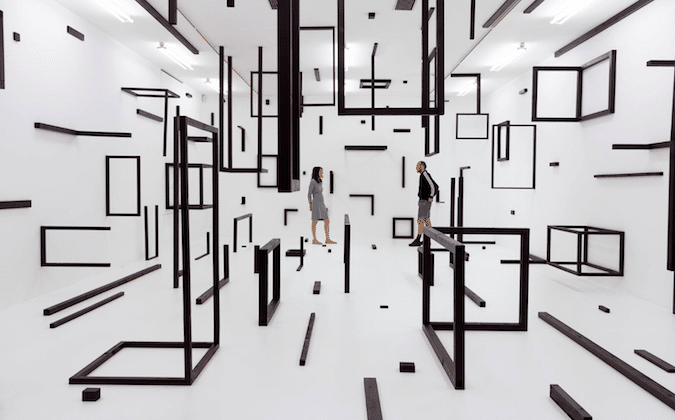 The works presented range from video to photography, from drawing to installation, and aim to create a new dialogue between Balkan artists of different generations and to provide a new point of view for the viewer. Upload = Delphic Panaceas Exhibition – until April 20 at the Zorlu Center PSM: The Zorlu Center is currently organizing an exhibition entitled «Upload = Delphic Panaceas», offering an extraordinary experience where visitors can experience art that stimulates the five senses. 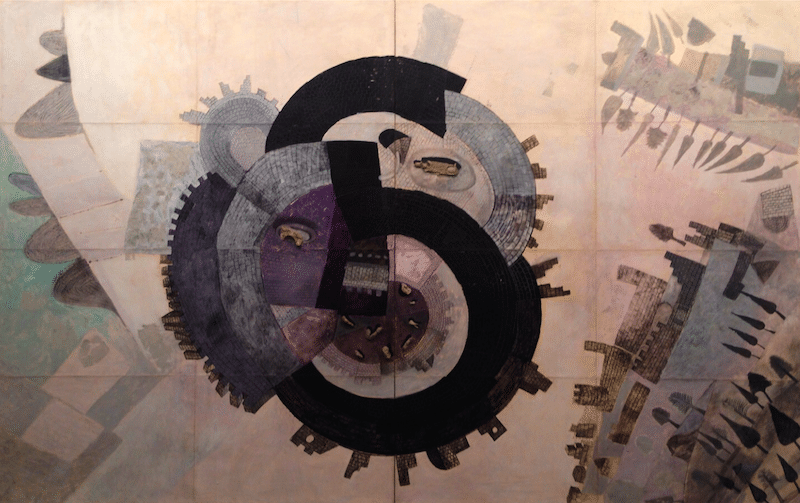 The exhibition began to be formed in 1945 and continues today with Eleni Ikoniadou Patrick Defasten Toby Heys, Steve Goodman (Code-9) and Souzanna Zamfe, it will welcome visitors until 20 April. The exhibition “Artists in their time” deals with the way artists put their work and themselves in a spacetime frame. The starting point of the exhibition is the quote from Turkish artist Ahmet Hamdi Tanpınar, “I am neither in time nor completely outside of it”. His views on time highlight the relationship that artists have on the past, the present and the future. The exhibition brings together works of different regions, periods and disciplines. 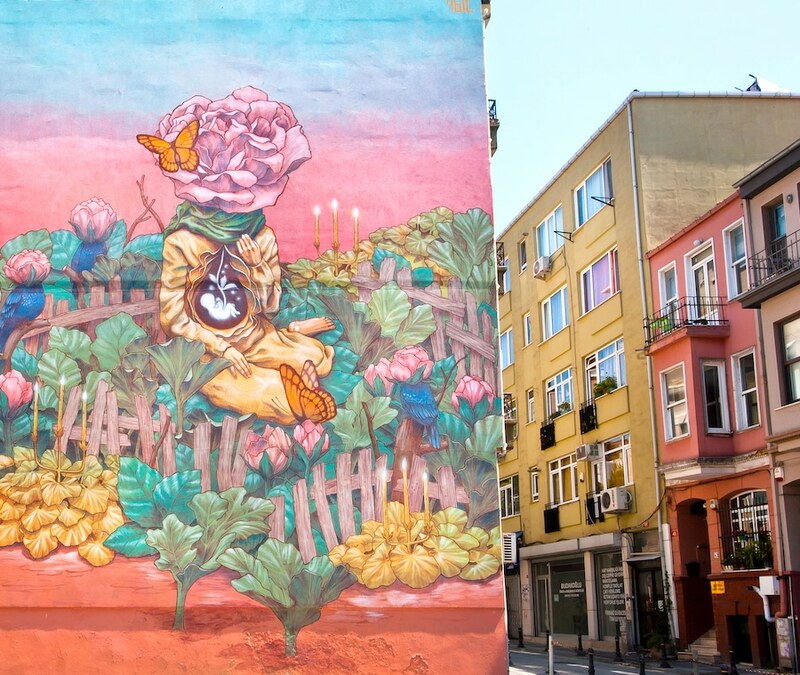 The themes of the exhibition are abstract art, feminist approaches, urban culture, stories of Istanbul lives, non-violence, the search for identity, the concept of metropolis and an understanding of Anatolian peoples. At the Istanbul Modern. Turkish League: at the time of writing this lines, the Beşiktaş is leading the championship with 5 points ahead of Istanbul Başakşehir. It seems like the title will be played between the two clubs, to see if Beşiktaş can stay ahead of its runner. Also note that the Istanbul derby (Galatasaray vs Fenerbahçe) will be held on April 23, an explosive match not to be missed if you are in the vicinity. April 9 – Fenerbahçe VS Akhisar at the Şükrü Saraçoğlu Stadium. April 23 – Galatasaray VS Fenerbahçe at the Türk Telekom Arena. April 24 – Beşiktaş VS Adanaspor at the Vodafone Arena. April 30 – Başakşehir vs Beşiktaş at the Fatih Terim Stadium. Europaleague: Beşiktaş is the last Turkish club competing in the European competition and will play the quarter-final return match against the Olympique Lyonnais on April 20. 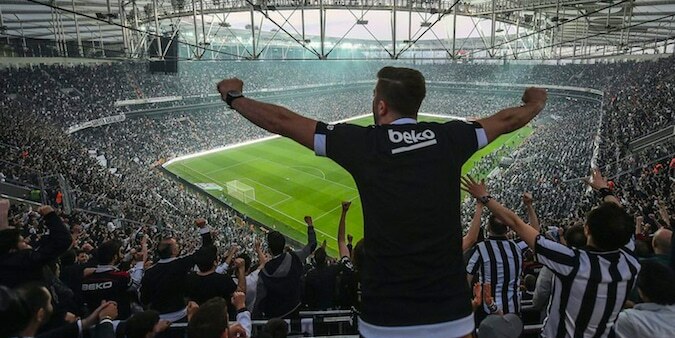 It is a game that may be complicated for the OL because of the crazy atmosphere of the Vodafone Arena! To buy tickets go on Passolig, for more information contact us! 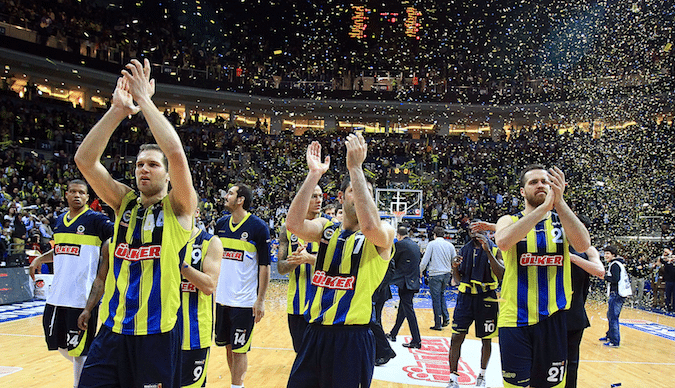 Find all the fixings and schedules on www.euroleague.net, for tickets and more information contact us! 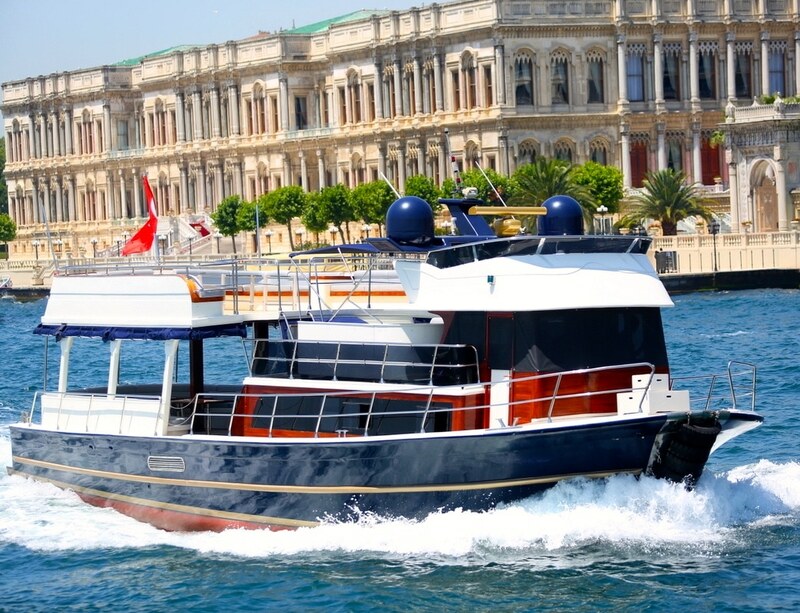 From April 24 to April 30 – Istanbul’s tenis open / TEB BNP Paribas İstanbul Cup The WTA tournament will be held in Istanbul between April 24 and April 30, 2017. The BNP Paribas Istanbul Cup champions from previous years have included Venus Williams, Elena Dementieva, Agnieszka Radwanska and Caroline Wozniacki. The tournament is played in the magnificent complex of the Garanti Koza Arena and we advise you to reserve your seats now if you wish to attend. You can buy your tickets on biletix.com. For the other activities we propose you in April 2017 click here!